A biography of Italian working class poet, writer and anarchist Giovanni Marini, caught up in Italy's Strategy of Tension and unjustly convicted of the murder of a fascist. The late 1960s and the 1970s were strange and violent years in Italy. The Milan bank bombing (carried out by fascists and secret service agents, but blamed on anarchists), the police murder of the anarchist Giuseppe Pinelli (as parodied in Dario Fo’s play Accidental Death of an Anarchist), the framing of Valpreda, the beating to death of the young Pisan anarchist Serantini, the mysterious death of the left-wing publisher Feltrinelli - these were just a few of the many incidents that littered those years. Many of the incidents are attributable to the Italian government’s “Strategy of Tension”. On 29th September 1971, five young Campanian anarchists were killed when a lorry braked violently in front of them. They met their deaths not far from the estate of the fascist leader Borghese. Five years earlier, his wife had died in almost exactly the same spot, under similar circumstances. Anarchists were already looking into the circumstances of Pinelli’s death and Valpreda’s frame-up. Now Giovanni Marini found out that the driver of the truck was a fascist and a close associate of Borghese. This discovery was to bring him unwelcome attention from local fascists, who menaced him on a number of occasions. When his comrade Mastrogiovanni was attacked in the street by a fascist gang on 7th July 1972, Marini went to his aid. In the ensuing fight, a fascist named Falvella was injured by his own knife, and later died. Marini was arrested. In custody, he was beaten by police on several occasions, as well as being mistreated in other ways. His trial was moved from its original venue to a remote village to isolate him from the solidarity of his comrades. He was constantly transferred from prison to prison (fifteen moves in the nineteen months he spent on remand). He took part in the struggle of his fellow detainees, and denounced the unhygienic and insanitary conditions in Italian prisons, in an important document which he produced. His agitation led to him being placed in solitary confinement and to receive punishment beatings. During his detention, Marini was supported by demonstrations throughout Italy. 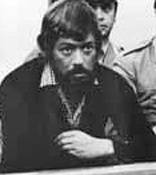 The Soccorso Rosso Militante (Red Militant Aid) publicised his case widely, with the active support of Franca Rame and Dario Fo. A solidarity network was also set up, the Coordinamento Nazionale Comitati Anarchici G. Marini. This was behind many initiatives and, ultimately, his liberation. During the trial in 1974, his comrades issued a daily bulletin to keep his supporters informed of its progress. At his trial Marini pleaded innocent to charges of murder. But at its end, he was sentenced to twelve years for voluntary homicide, with the extenuating circumstances of provocation. Even after he was finally freed in 1979, the persecution didn’t stop. In 1983 he was arrested in Salerno and accused of being a member of the Leninist guerrilla groups the Red Brigades. This pathetic frame-up collapsed instantly as soon as it arrived in court. Born to a working class background, Giovanni Marini was an anarchist communist. As such, in the years before his case made him well known, he was heavily involved in local agitation and organising in Salerno. But he was also a poet and writer. He wrote a book of poems in jail, under the title E noi folli e giusti. This won the Viareggio literary award in 1975. He continued to write poetry and prose after he was freed - Di sordomuti posti, Antonio per inerzia, Antologia poetica, La viperina pietoso amorosa, La serpe e la cetonia, Il bambino chiamato zio Ciccio and Lo scolaro e l’altro. He died in Salerno on 23 December 2001. Many questions survive him. What was the exact role of the Italian secret police, the fascists and the CIA in carrying out the Strategy of Tension during those mysterious years? We still don’t have all the answers.